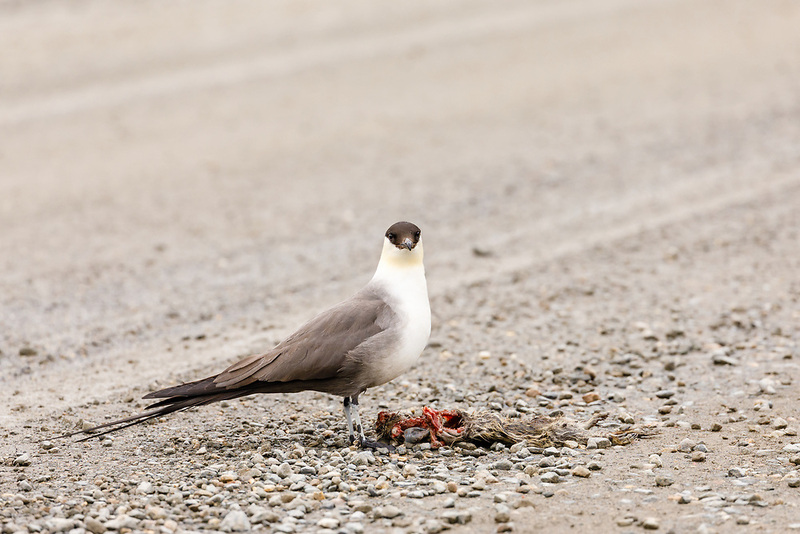 Long-tailed Jaeger (Stercorarius longicaudus) feeding on an Arctic Ground Squirrel on the park road in Denali National Park in Interior Alaska. Summer. Afternoon.